Hello, Becky here with you today. 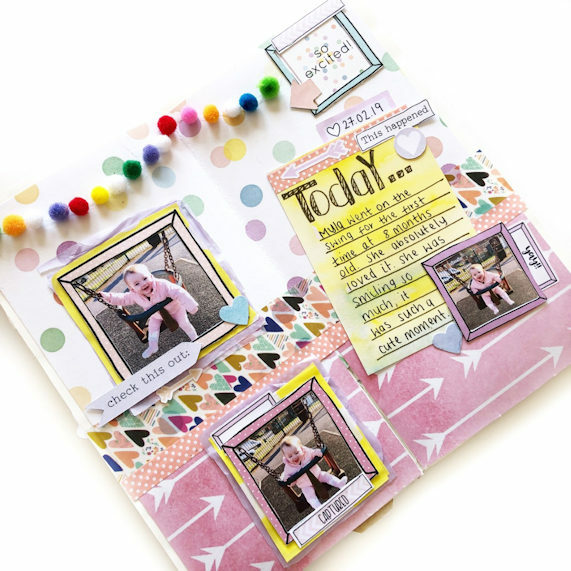 If any of you follow me you will know that I am planner crazy so when I seen the theme of this months Lollipop Box and that it was called ‘Planner Girl’ I was so excited to get stuffing my planner with all the gorgeous-ness (totally a word, right?) but going through the box I noticed that I could do so much more with it. So, first I decided to do a layout in my Travellers Notebook which I love for the everyday events. For this spread I started with 2 of the pattered papers and placed a piece of washi tape over where they joined, I also added a thicker washi from my stash. Using a craft knife I cut the frames from the pattered paper and adhered them to my photos, I used 3 different sizes as I though it made it look more interesting and fun. I backed the 2 larger photos onto a piece of a paper bag and some tissue paper to give it a bit of texture. 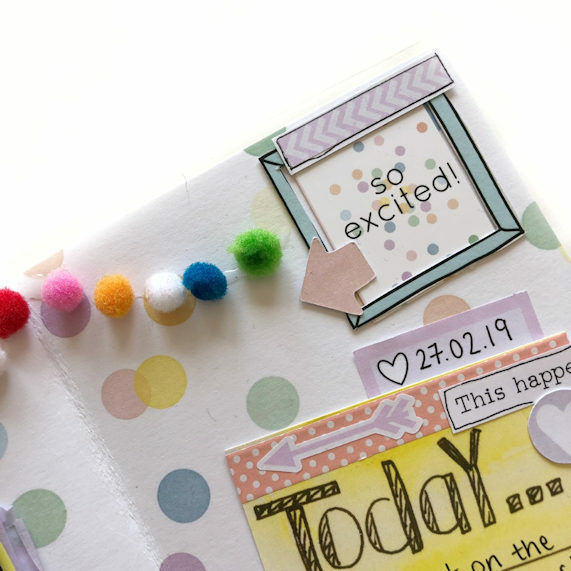 I absolutely love the journaling cards that Lisa created for this kit so I used the one with the large ‘today’ on to do a bit of journaling. This page is all about my Daughters first time on a swing, I felt it was perfect to document this with the lovely colours and pieces in this months box. To finish off I added some stickers and die cut pieces and added the fun, little pom poms to look like a little pom pom garland, so cute! Don’t be fooled by the name of this kit as it really is so versatile and can be used for so many creative projects. The ‘Planner Girl’ Kit can still be bought here.